Immunoglobulin G4 (IgG4)-related disease is a novel clinical entity characterized by infiltration of IgG4-immunopositive plasmacytes and elevated serum IgG4 concentration accompanied by enlargement of and masses in various organs, including the lacrimal gland, salivary gland, and pancreas. 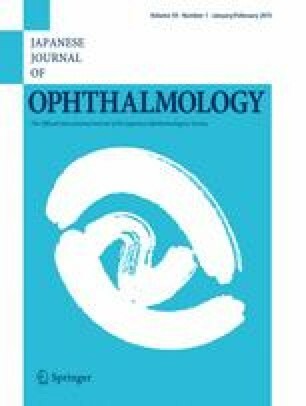 Recent studies have clarified that conditions previously diagnosed as Mikulicz disease as well as various types of lymphoplasmacytic infiltrative disorders of the ocular adnexa are consistent with a diagnosis of IgG4-related disease. Against this background, the diagnostic criteria for IgG4-related ophthalmic disease have recently been established, based on both the clinical and the histopathologic features of the ocular lesions. This article reviews these new criteria with reference to the comprehensive diagnostic criteria for IgG4-related disease for all systemic conditions reported in 2012. An erratum to this article can be found at http://dx.doi.org/10.1007/s10384-015-0376-2. This work was supported by the Research Program for Intractable Disease (IgG4-related disease), Health and Labor Sciences Research Group of the Ministry of Health, Labor, and Welfare of Japan. H. Goto, None; M. Takahira, None; A. Azumi, None. Atsushi Azumi, Department of Ophthalmology, Kobe Kaisei Hospital. Hiroshi Goto, Department of Ophthalmology, Tokyo Medical University. Kazuko Kitagawa, Department of Ophthalmology, Kanazawa Medical University. Toshinobu Kubota, Department of Ophthalmology, National Hospital Organization, Nagoya Medical Center. Yoko Ogawa, Department of Ophthalmology, Keio University School of Medicine. Koh-ichi Ohshima, Department of Ophthalmology, National Hospital Organization Okayama Medical Center. Tokuhide Oyama, Division of Ophthalmology and Visual Sciences, Graduate School of Medical and Dental Sciences, Niigata University. Keigo Shikishima, Department of Ophthalmology, The Jikei University School of Medicine. Yuka Sogabe, Department of Ophthalmology, Mitoyo General Hospital. Shigenobu Suzuki, Department of Ophthalmic Oncology, National Cancer Center Hospital. Masayuki Takahira, Department of Ophthalmology, Kanazawa University Graduate School of Medical Science. Hideki Tsuji, Department of Ophthalmology, The Cancer Institute Hospital of the Japanese Foundation of Cancer Research.